My first birth didn’t go as planned. Early on in my pregnancy I was discouraged by my OB from pursuing an un-medicated birth. 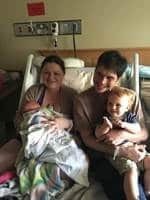 We didn’t seek out a community or support, so when my son decided to come at 35 weeks and 1 day we easily gave way to the hospitals pressure for unnecessary interventions. My water spontaneously ruptured and I was at the hospital less than 1 hour later. I was told to lie on my back, that I wasn’t allowed out of bed. They began checking me every hour after my arrival, and after only 2 short hours they started suggesting pitocin. I begged my OB for more time, and he made it seem like he was doing me a favor giving me another hour. I asked if I could move around, and they said I really needed to stay in bed where I could be monitored. My baby was not in distress, and I could have easily been allowed to squat or sit on a ball instead on laying on my back, but I didn’t know this then. Three hours after arriving at the hospital I succumbed to their pressure and took the pitocin. This led to an epidural about an hour and a half later. Luckily, nine short hours after arriving, my son arrived completely healthy weighing in at 6 lbs 6oz and garnering a perfect Apgar score. 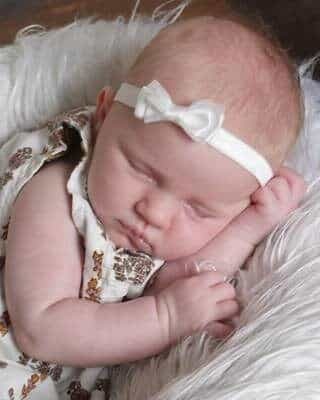 We felt so blessed to have a perfectly healthy baby, and we still do. After my DS’s (darling son’s) birth and into his infancy, I began to connect with other moms in the natural community. I heard their birthing stories (stories of the kind of birth I longed for); some even with babies who decided to come a little early like mine. Learning that his birth could have been different and that my naivety was used against me to benefit the schedule of the hospital staff, I grieved for the missed opportunity of birthing my son naturally and wished I had sought out more knowledge before my son’s birth. When I became pregnant with my second child, I knew I was going to do everything in my power to make sure my natural childbirth was fully supported by my birthing team. Particularly, I wanted to study Hypnobabies Childbirth Hypnosis because of the success family and friends had with it. I picked a birthing center and signed up for the six-week Hypnobabies class. Even with a budding 2-year old and my husband and I both working full-time jobs, we made time every morning and evening to do the home-play, Finger-Drop technique practice and hypnosis scripts practice. Everyone we knew who used it told us “you have to do the home-play and partner practice daily to be successful”, and we were DETERMINED to use the tools Hypnobabies offers to their full potential and have the blissful birth we knew others had experienced. At 36 weeks and 7 days, I began to feel practice pressure waves which made a pattern. I listened to my Joyful Pregnancy Affirmations, Birthing Day Affirmations, Special Safe Place, and Deepening Hypnosis audio tracks while monitoring the waves. They lasted about half the day and subsided with a warm bath so we knew we still had time to wait. FOUR whole uneventful days later, I began to have pressure waves again, stronger this time, and they were making a distinctive pattern – 5,2,1,2 – for about 7 hours. They started just before lunchtime and again I listened to all of my audio tracks while monitoring the waves and I actually stayed at work all day tying up loose ends in case I wasn’t going to return on Monday. When I got home that evening, I was still having the waves in the consistent pattern. We decided we were going to leave for the birthing center which was an 80 minute drive from our home, and right as we were getting packed up, my water broke! I was so excited for this sign as I knew the baby would be there sometime in the next day! We jumped in the car, and my husband took off down the interstate! I sat in the backseat and listened to the Birthing Day Affirmations and Fear Clearing tracks with headphones while he drove. I kept my hips wide and tried to sit to keep my pelvis as open as possible so to not completely stall any progress. About 30 minutes into the drive my pressure waves began to really pick up and started coming consistently 2 minutes apart and lasting about a minute and a half each. At this time I chose to lay down in the backseat with my knees together to actually slow down the waves. This did work well and when we got to the birth center I was able to walk myself in and begin triage while my husband parked the car. We were given a room immediately and at this time the waves were starting to come about a minute apart. Although I didn’t want to know my stage of dilation, I asked my nurse if she could make sure I was past 7 cm before I got into the tub. She waited until I was in between waves, and I used my Finger-Drop technique to turn my mental light-switch off while she checked my cervix. She told me I was ready to go into the tub, and I was ELATED! I couldn’t believe I was already past 7 cm!! !